DAVID&SCHWEITZER Contemporary is proud to present Sensing Place, a solo exhibition of new paintings by Fran O’Neill. This exhibition will be accompanied by a full-color catalogue with an essay by Art Historian Jennifer Samet. In our Project Room we are featuring the works of Dana James. 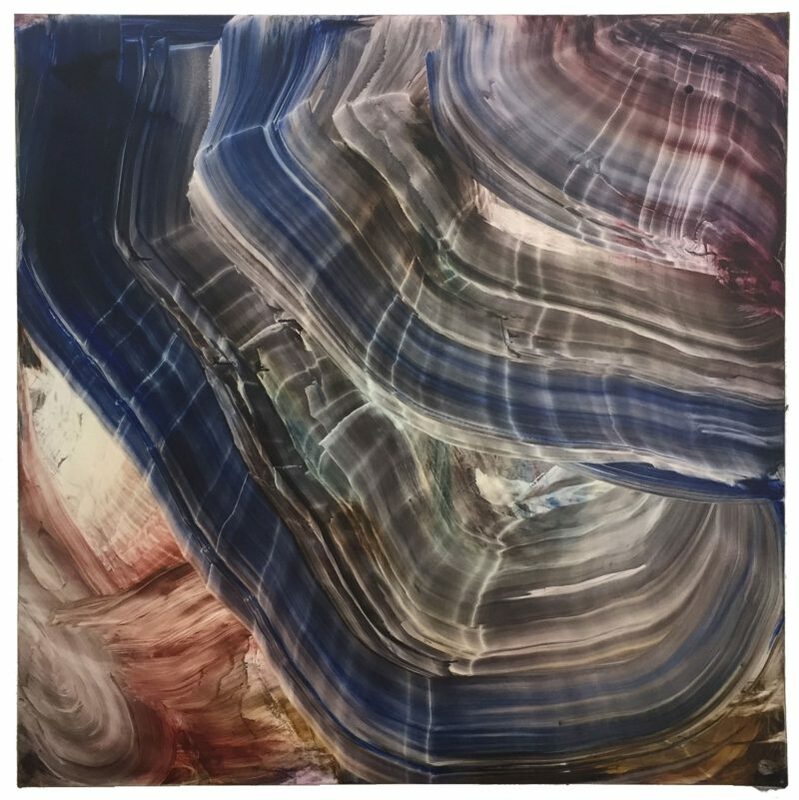 O’Neill’s paintings shift effortlessly, and masterfully, between small scale and larger scale with a highly tuned sense of drawing and beautifully pitched use of color, transparency and gesture. Building forms that extend and recall the best of Abstraction Expressionism, O’Neill takes the roots of ABEX, landscape, and figuration, and through this hybrid creates a wholly new, and most human, personal narrative. O’Neill was born Wangaratta, Australia and lives and works in both Australia and Brooklyn, NY. O’Neill attended Monash University, Melbourne, Australia earning a BFA and completing a Post Graduate Year. Her studies continued at the New York Studio School’s Certificate Program, New York, and completed her MFA at Brooklyn College, Brooklyn, NY. In 2007 O’Neill received a Joan Mitchell Foundation award. O’Neill has taught at the New York Studio School, Pratt Institute and the Arts Students League, all in New York. She has taught workshops in the USA has been a guest critic and lecturer at various institutions in the USA and in England. O’Neill’s previous solo exhibitions have included: Life on Mars Gallery; Brooklyn, NY; John Davis Gallery, NY; New York Studio School, NY; and Sussex College, Hastings, UK. Her work has been included in various group shows throughout the USA, UK and Australia. During 2016 her work was featured at MOCA in Jacksonville, FL in a group exhibition titled Confronting the Canvas: Women of Abstraction. Additional 2016 solo exhibitions include CUAC, Salt Lake City, UT; Magical Thinking, Miller Gallery, Cincinnati, OH; Life on Mars Gallery, Brooklyn, NY; A Cup of Sugar, Lorimoto, Brooklyn, NY; and Hathaway Contemporary, Atlanta, GA. In our Project Room we will be exhibiting a series of works-on-paper and paintings by Dana James as a run up to her first one-person exhibition at DAVID&SCHWEITZER Contemporary opening November 2017. Dana James, a New York native and daughter of artists, has a BFA in painting from the School of Visual Arts. Her paintings combine an exquisite sense of touch, incorporating multiple mediums and textures created by the process of pouring. She pushes the boundaries between abstraction and representation, drawing on imagery as wide-ranging as found-in-suburbia mundanities, man­made bodies of water, and sci-fi imagery, all the while referencing the great American tradition of Color Field Painting, to create a fresh language all her own. James’ one-person exhibitions include Surface Tension, Urban Gallery, Philadelphia, PA 2016; Every Night at Midnight, at Envoy Gallery. New York, NY (2014), and New Works at Union Gallery, New York, NY (2010). Her numerous group exhibitions include Incipiences, curated by Paul D’Agostino, The Buggy Factory, Bushwick, Brooklyn (2016); #PUSSYPOWER, curated by Jennifer Samet and Michael David, DAVID&SCHWEITZER Contemporary, Bushwick, Brooklyn (2016); Art Hamptons 2016, Urban Gallery and Books, Bridgehampton, NY; Aqua Art Fair, Miami Basel (2015), Fiercely Curious, Miami, FL; and We are What the Seas Have Made Us, Proto Gallery, Hoboken, NJ (2015).